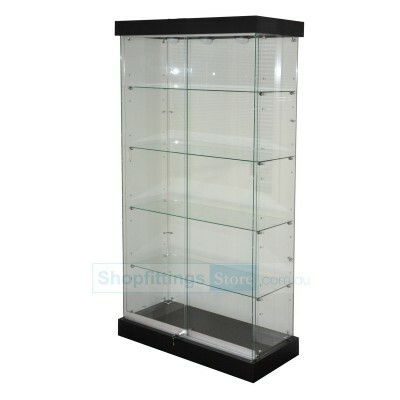 Showcases and display cabinets are some of the most versatile store fixtures in retail today. 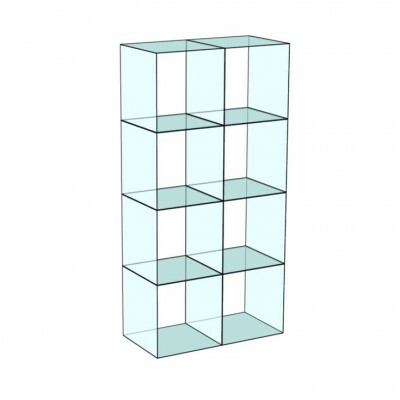 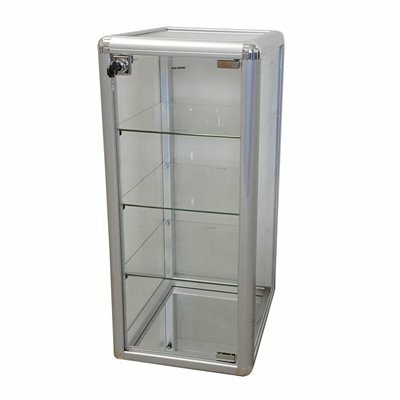 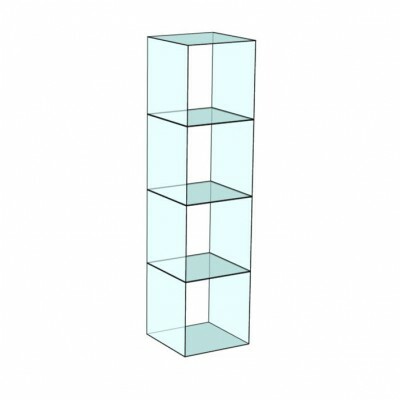 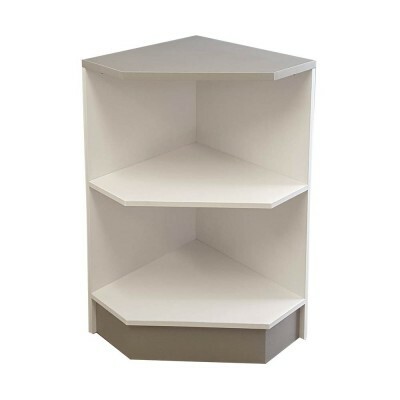 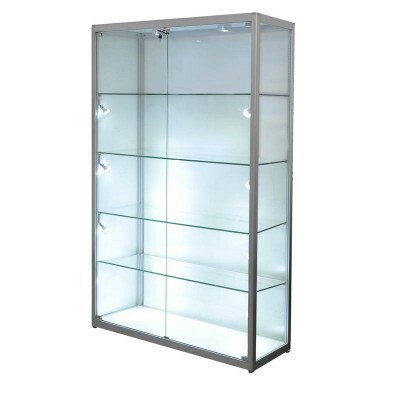 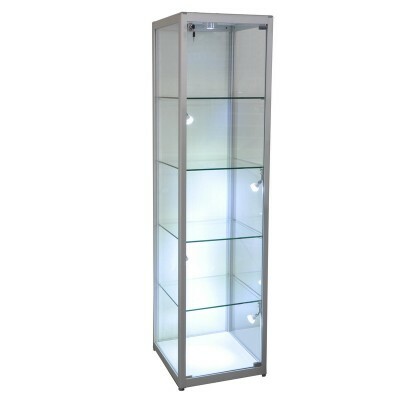 Showcases not only give you a way to protect your valuable merchandise, but also add a sense of esteem to your store. 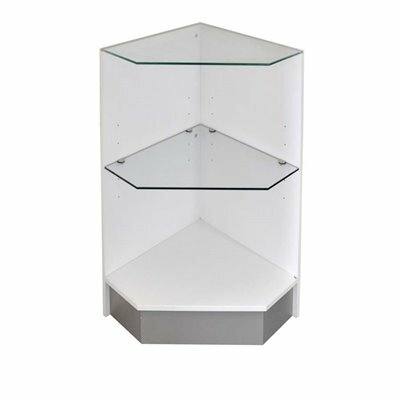 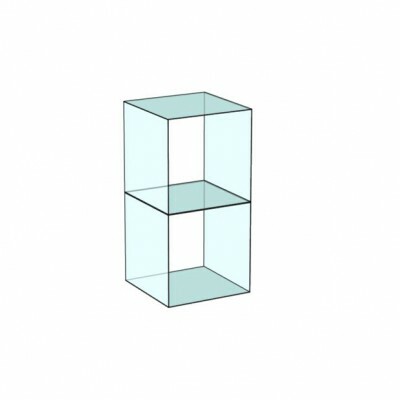 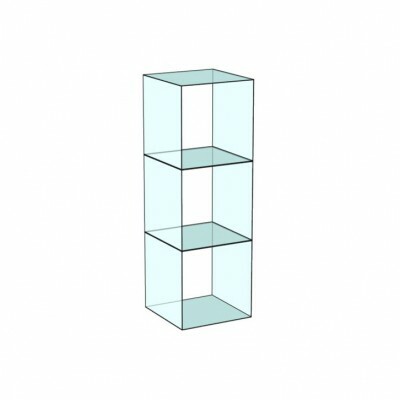 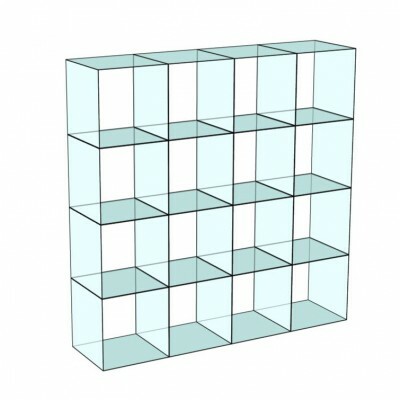 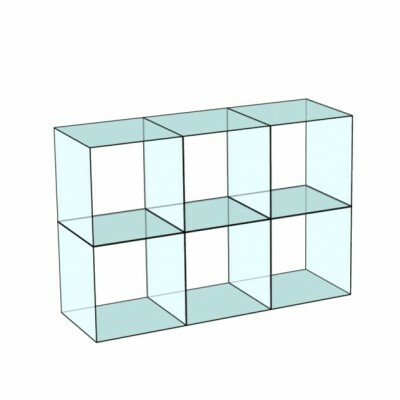 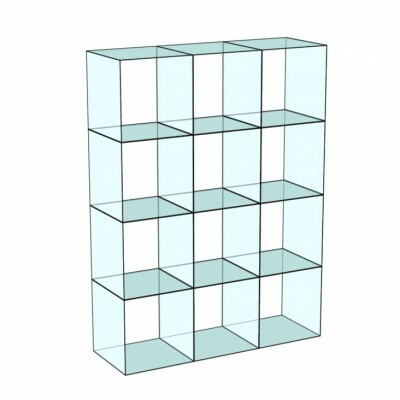 Functional, because they offer both storage and counter space, glass display cases offer a distinctive way to showcase your items. 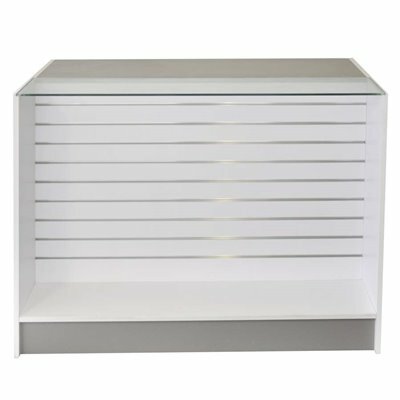 By positioning merchandise inside display cabinets located at a focal point in your store, you give those items a higher perceived value. 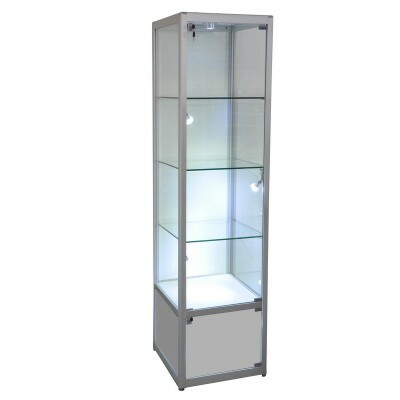 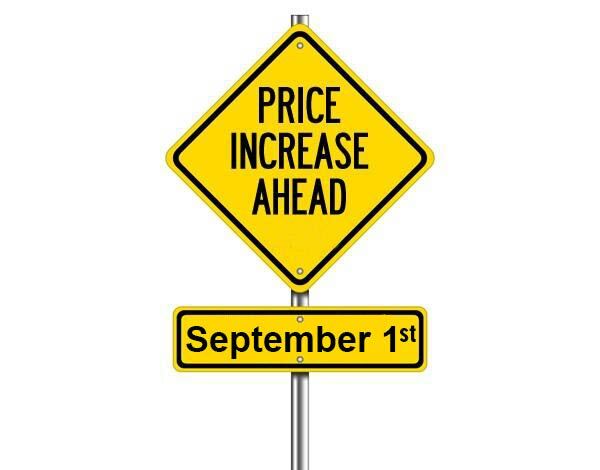 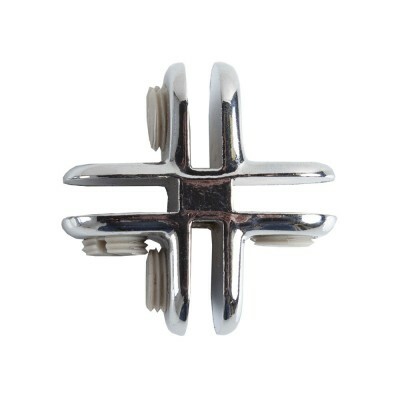 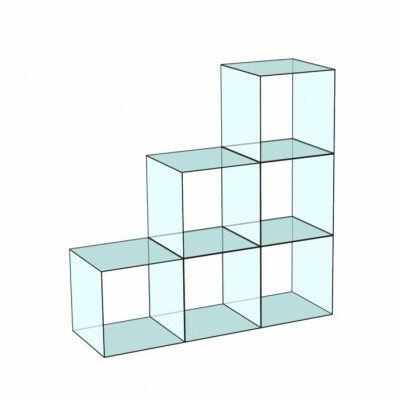 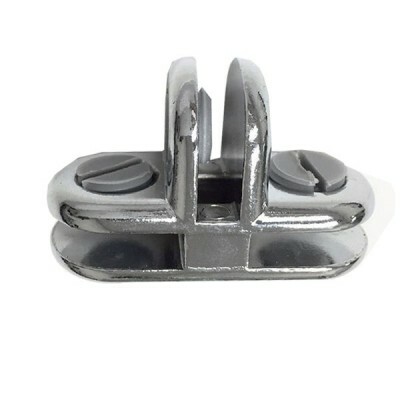 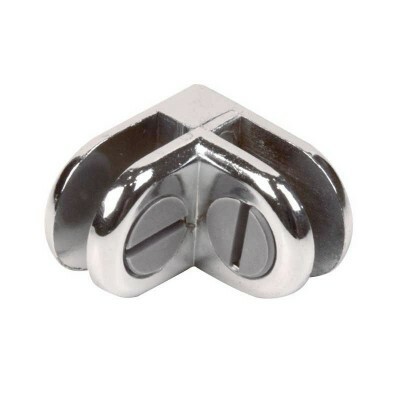 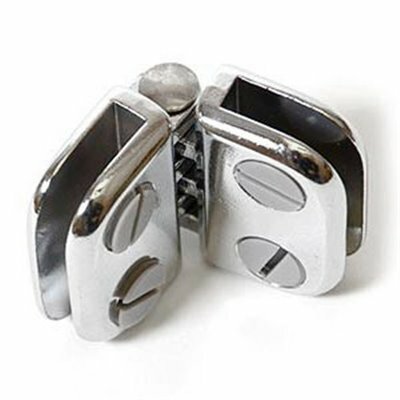 You also draw added attention to the items thus increasing the chance for sales. 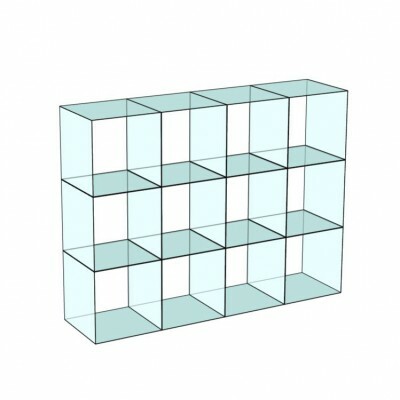 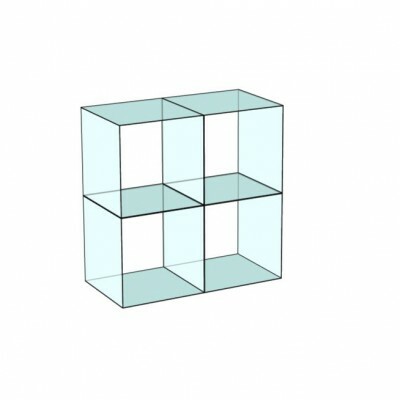 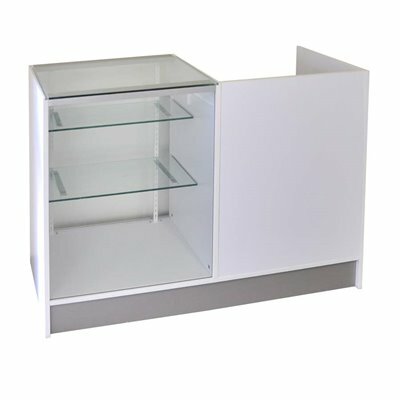 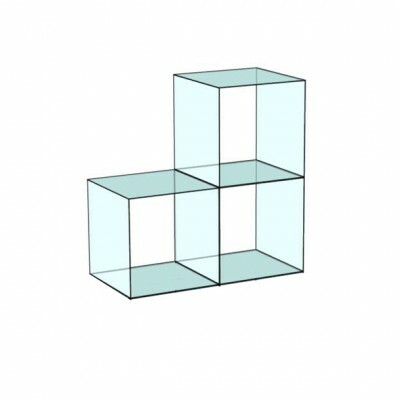 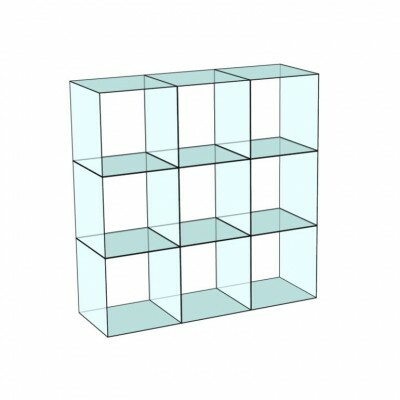 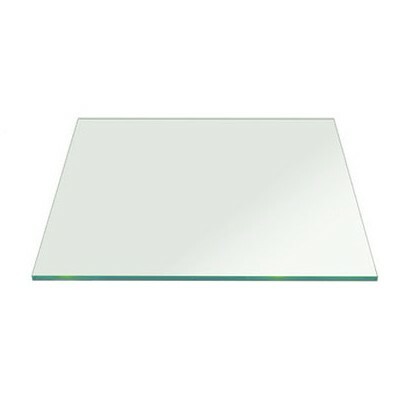 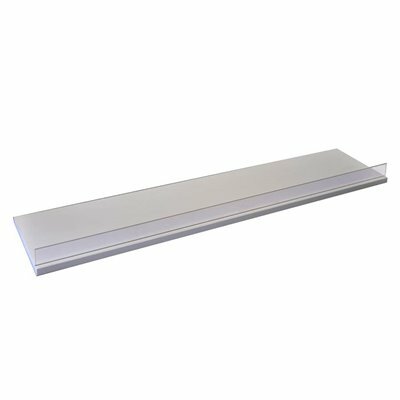 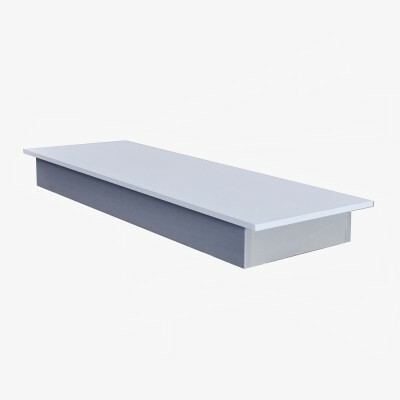 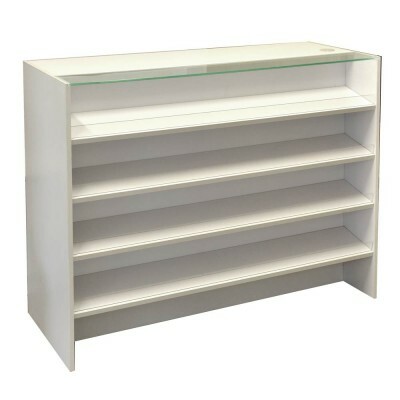 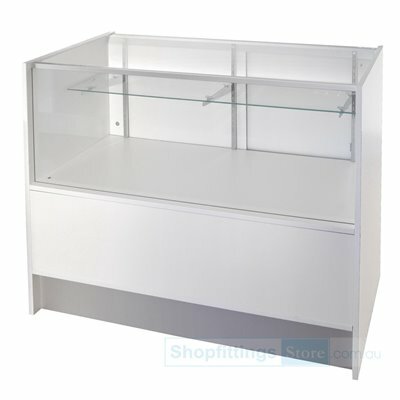 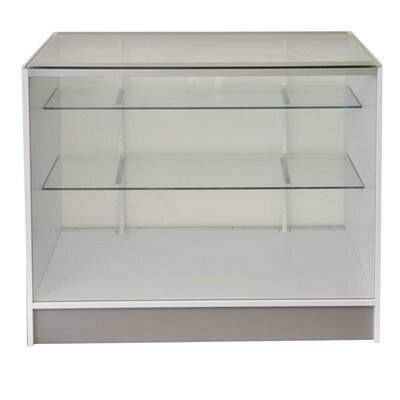 Counter Glass Showcase Combination White AVAILABLE in 3 lenghts: 1200, 1500 and 1800mm, mdf counter section is 600mm. 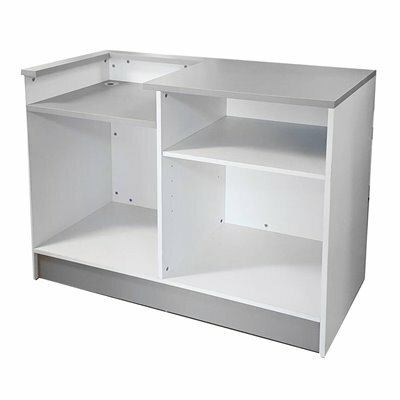 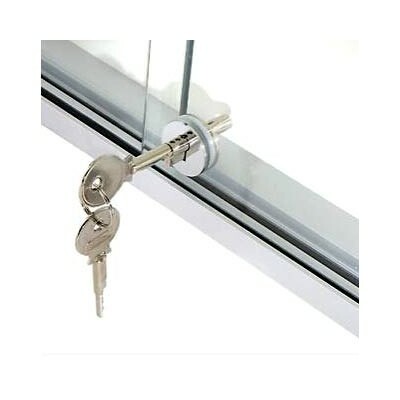 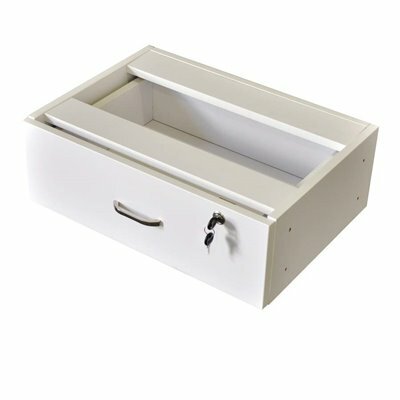 Attractive, verstaile, easy to install with assembly instruction included.Sliding doors and lockable drawers can be purchased separately for this unit. 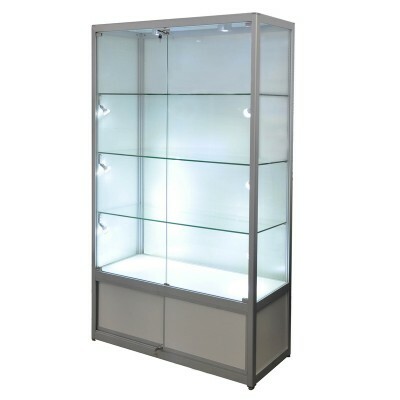 Solid Display Counter Attractive, verstaile, easy to install with assembly instruction included.